In the 'New Financial World' in which all businesses now operate, the services of a Professional Finance Consultant have never been more important. Literally millions of SME businesses in the UK are actively seeking alternative financial options to satisfy their funding requirements, at White Rose Finance we partner with over 150 innovative and entrepreneurial finance providers all keen to lend to the right proposition and we provide solutions for our clients in many cases when the major banks say no. On our client's behalf we identify appropriate funding providers and then provide a fully managed service through to completion and draw down of the funds. This is the core proposition of our business, we have been providing innovative finance solutions since our formation in 2004 and have served over 9,000 clients across the UK. As part of our expansion programme we are offering a limited number of Business Partnership opportunities to like minded individuals who would like to join our team and enjoy a succesful and rewarding Business relationship. Low Entry Cost and 100% of your Set Up and Training Fees are Fully Refunded to you when operational. Significant earnings Potential : £50 K to £100K is realistic in the first year for serious Partners. Comprehensive 3 day Product and Business Development Training Programme. 'Ready To Go' Fully Working Business model - Operational /Lead Generating from Day 1. Full Compliance cover - All Licenses, Data Protection and Insurances are provided. Access to a network of 130 + alternative Funding Partners to serve your Clients. 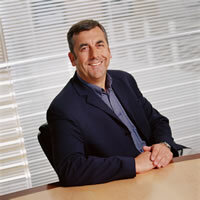 Full Ongoing Business Support - Named Business Development Manager to support every opportunity. Marketing Initiatives, Lead Generation and Business Planning Support. No Geographic or Territorial restrictions - you conduct business on a full UK / International basis. Comprehensive Admin Support Package with Collaterals, Business Cards, E-Mail, Database etc. all provided. Company sponsored Professional Finance Qualification ( IFS - CeCM) to further your career ongoing (AFC Partners - optional). At White Rose Finance we offer two separate Business Partnership Programmes, each designed to suit your individual needs and current circumstances. Neither of our programmes require previous Financial Services experience as we will provide comprehensive training and business support. The AFC Partnership Programme offers you a full Associate Partnership of our firm with a comprehensive range of benefits.Once on on board you will operate as a fully integrated 'card carrying' team member benefiting from the full Administrative, IT and Marketing / Business Development Support infrastructures that we have in place. Business Collaterals -Brochures, Database, E-Mail Marketing support, Business Newsletters etc. The AFC Programme is designed for committed and motivated individuals who are seeking a genuine new career opportunity and wish to fully align with one of the UK's most established and succesful Commercial Finance Consultancies. We envisage that AFC Business Partners will have the time to devote a significant proportion of their working week to developing new Business Opportunities. It will be a general requirement for the AFC Partner to directly handle client 'face to face'relationships on a day to day basis with the full back office support of our Consultancy Team who will develop and secure the funding proposals and manage the case through to succesful completion and draw down of funds. A relatively modest and fully refunded initial investment offers you a fast track entry in to the Business Finance environment with a first class Business Training and Support Package included. As an AFC Partner you will be required to commit to a minimum 12 month Partnership Agreement which is renewable annually thereafter. The AFC Partnership is not a franchise and there are no ongoing fees or business licenses to purchase. The Professional Associate ( PA) Partnership Programme is designed for individuals who intend to work part time or wish to develop and integrate a Business and Commercial Finance capability alongside an existing occupation or Professional practice. The PA Partnership program is ideal for Accountants, IFA's, Residential Mortgage and Insurance Brokers, Business and Planning Consultants etc. 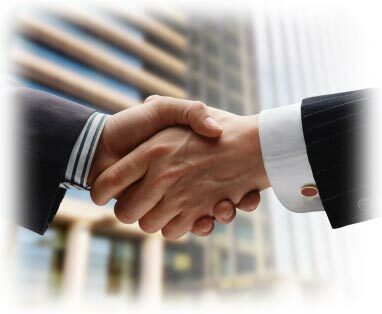 In fact any business professional with an existing client base can generate significant benefit and additional fee income via our Professional Associate Business Partnership. Business Collaterals -'White Label' Brochures, E-Mail Marketing support, Business Newsletters etc. The PA Program facilitates business referrals from Partners who may simply want to refer across to us a client name and outline case details for our team to manage or alternatively they may wish to fully self - manage the client relationship on a day to day basis. ( or any variation in between). The essence of the PA Partnership is that you will learn to identify, develop and qualify valuable new Commercial and Business Finance opportunties and work closely with our Professional Consultant team to deliver solutions to these clients in an agreed manner. What types of cases will you be handling ? 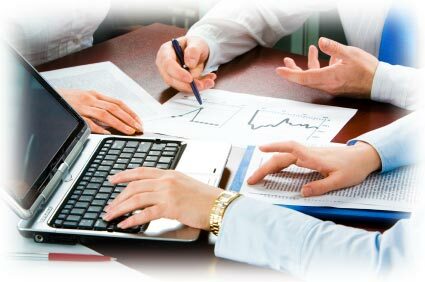 Key to the success of our firm is that we provide our clients with a very broad range of Business Financial Services. These range from Commercial Property Funding, Mortgages to acquire a Trading Business, Property Development Loans, Asset Finance / Leasing, Factoring, Retail Finance and Debt Management / Corporate Restructure. What will a typical contract earn in fees and commission ? When will I see a return on my investment in the Business Training and Set Up fee? In general terms we would expect your full investment to be returned in full on the first two or three standard commercial deals succesfully closed. The reality of the proposition is that a single major commercial contract could of course repay your investment many times over and as such the larger deals are the main focus of our business in terms of new opportunity development.The initial Training and Set Up fee is contractually returned to you on an incremental basis as you develop new business and this is in addition to the standard commissions paid. What does the Partner Training Course consist of ? Our Business Partner Training is an intensive 3 day programme designed to give our Business Partners a thorough understanding of all the Financial Services and Products offered. The courses are held at a 4* hotel venue in the historic City of York, close to the City Centre. In addition to Product and and Service information a significant amount of time is devoted to Business Development, Marketing and effective Lead Generation techniques. All delegates will leave the Business Partner Training with a comprehensive 90 day Business Plan and be 'business enabled' to commence immediately. 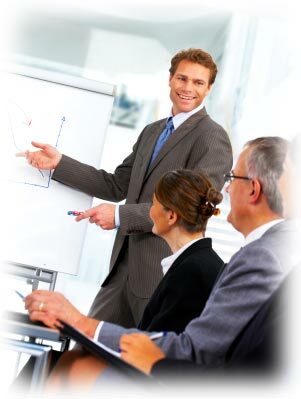 For more information about the training and scheduled dates please see our detailed Business Partner Training Syllabus. In summary, our Business Partnership Programmes offer any committed and motivated individual the opportunity to train and develop a sustainable and long term career with the Financial Independence that this brings. You will experience an intensive, stimulating and wholly enjoyable three day programme alongside like minded professionals and will leave us fully trained with a ready made business plan, empowered and motivated to embark on a succesful career generating new business opportunties from day one. I am sure there may be further questions to raise ( please see the detailed FAQ web page) and I sincerely hope you find this opportunity to be of interest. For further information or an informal discussion please do not hesitate to contact me directly on the numbers below, send an e-mail or submit an on-line enquiry with your contact details. I look forward to hearing from you and working together to develop a succesful Business Relationship as a Associate Financial Consultant or Professional Associate Partner with our company. Telephone White Rose Finance on 0845 838 8971. White Rose Finance Group are Full Members of the National Association of Commercial Finance Brokers and fully conform to the high ethical standards set down by this leading industry body.